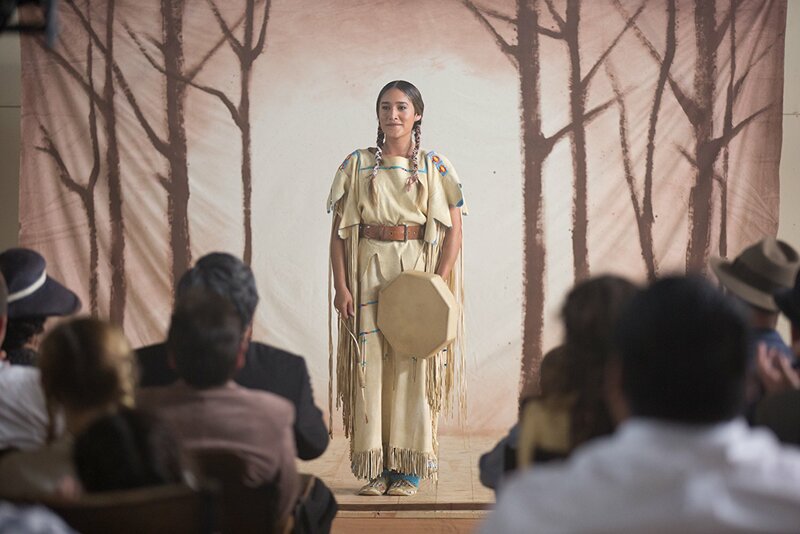 Synopsis: Te Ata (TAY’ AH-TAH) is based on the inspiring, true story of Mary Thompson Fisher, a woman who traversed cultural barriers to become one of the greatest Native American performers of all time. Born in Indian Territory, and raised on the songs and stories of her Chickasaw culture, Te Ata’s journey to find her true calling led her through isolation, discovery, love and a stage career that culminated in performances for a United States president, European royalty and audiences across the world. Yet of all the stories she shared, none are more inspiring than her own. 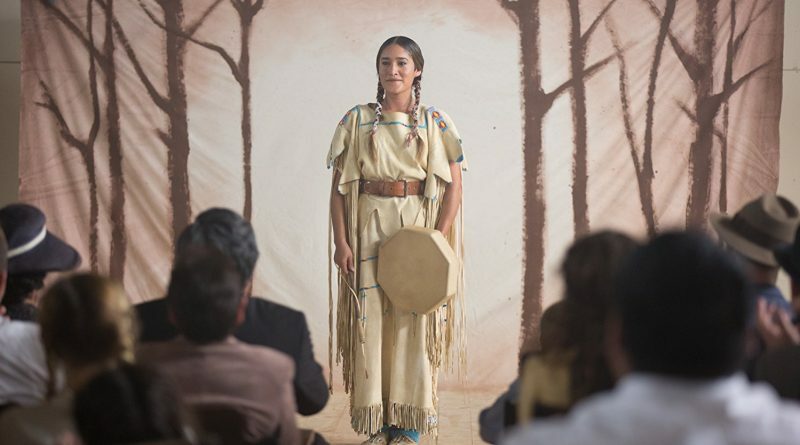 Review: Q’orianka Kilcher stars as Mary Thompson “Te Ata” Fisher. This film is powerful and moving not only because of Fisher’s story but by the spirit that Kilcher brings to the performance. It is almost as if Mary Thompson was speaking from within her, through story and song. If you have followed Kilcher from her early roles to her political activism and her passion for change and truth then you know that there is no one else better to play this part. Here we see Te Ata as she goes off to college and struggles to make it as an actress. She is constantly called back to the heritage of her people and the stories that define her. The Chickasaw are a proud people and rightly so. You can tell that they made sure this film not only honored the memory of Te Ata but also told their story. It is wonderfully produced and crafted. There are several touching moments and it is as inspirational a film as I have seen in sometime. Not only for the Indian culture but for those who have a desire to perform and share their lives with others. Gil Birmingham plays Mary’s father T.B and also adds an endearing element to the ensemble. In fact there is a wholesomeness to this film that is carried out by everyone in it. Often that can make a film puffy or shallow. Almost like they are trying to sell the audience something that isn’t grounded in reality. But not here. This one is genuine and organic. That feeling can only come from the passion of the performers. The story too is intriguing. It is a history lesson but never is it tedious or boring. As we listen to Kilcher recite the lines of the script she is also telling the history of the people. 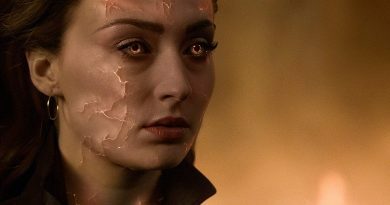 Like the audiences in the 1930s who sat transfixed by the real Te Ata so are we with this film. 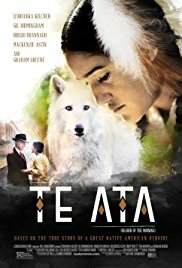 Te Ata is rated PG and I highly recommend it. It is encouraging to see something the whole family can watch that isn’t simply animated or slapstick humor. Sadly often films like this get lost in the mass of options out there. If anything I hope this makes you stop and give it a watch.